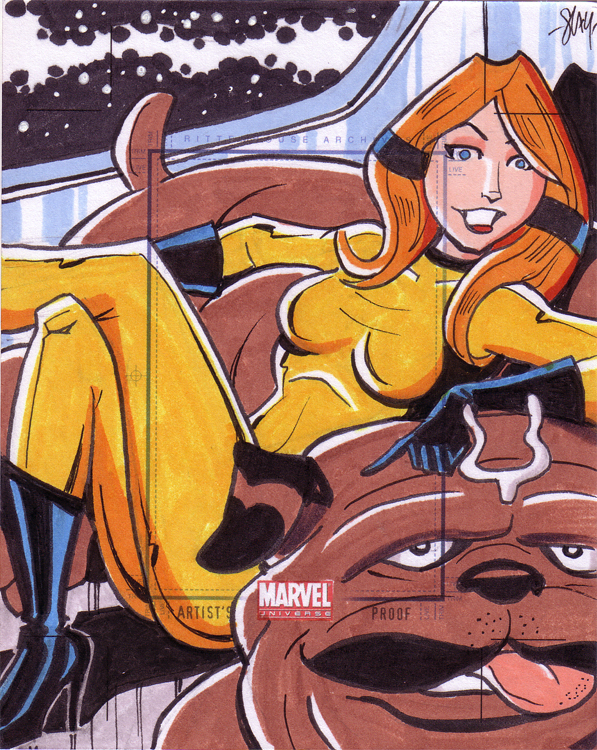 Posted January 19, 2012 in Cal Slayton, Crystal, Lockjaw. Rittenhouse Artist Return card by Texan illustrator/graphic designer Cal Slayton. Cal is best known for the hit indie series Shades of Blue. His artwork has also been seen in Dead@17 Rough Cut, Super Hero Happy Hour, Digital Webbing Presents amongst others. He is currently working on the creator owned series, Spookytown. More of cal’s work can be found at his blog and DeviantArt page.